Healing House strives to give you high quality, uniquely customized massage and bodywork sessions at an affordable price point to assure that you can take better care of your health in our house. We’re passionate about making whole body, holistic healthcare more accessible to a greater number of people in a safe, supportive and professional environment. We offer 5 basic Types of massage with Add-Ons that you can choose to meet your specific needs and wants. The Add-Ons themselves can be a complete session on their own or combined with any other Add-Ons to create a beautiful, unique healing session that you will love. If you aren’t sure what you need and want, don’t worry, our amazing therapists will work with you to customize a deeply soothing session that you will enjoy and benefit from. No problem…Choose our Custom Massage! Tell your Massage Therapist why you booked your appointment and what you’re looking for. Drawing on their expertise in different massage types and bodywork modalities, they’ll serve up the perfect massage just for you. 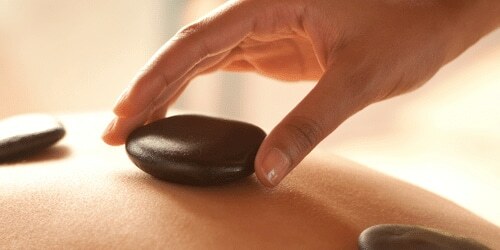 Lighter, smoother, flowing style of massage with long, gliding strokes to provide overall relaxation. Sometimes simplicity is key, and the Swedish massage style is a sweet, simple, soothing experience. As one of the most recognized types of massage, it’s perfect to help your mind, body and spirit unwind and de-stress. Let these lavish and luxuriousness of this Swedish style banish your cares and worries while resetting your body’s natural rhythms. Incorporates some of the basic Swedish massage strokes along with additional lengthening the muscles with very researched, specific stretches to unlock stuck areas, decompressing overused joints, increasing range of motion, releasing muscular knots through myofascial release and trigger point therapy, and cultivating a deep feeling of expansion and ‘ahhhhhhh’. Whether you work at a desk job, drive for long periods of time, carry young children, are a care-taker yourself, a weekend warrior, competitive athlete, or have repetitive, on-going, physical challenges of any kind, this very therapeutic style of massage is very transformative. We fall down, we get back up, it happens! Whether you are dealing with an old injury or new injury, or have tried about everything else on the planet, an Injury Focused Massage could be what you are looking for. Using advanced techniques, specific anatomy and kinesiology education, and a well-versed understanding of how impact, trauma and life can cause havoc in our bodies, our therapists partner with you to create change and healing. Adding massage to your physical therapy or rehabilitation program can speed up your healing process and get you back in the game of life! Breaking up muscle adhesions and scar tissue can make a huge difference in your movement and healing as well. *Because of the focus on the injury, some parts of the body may need to take a back burner while other areas become the higher priority, or a longer session length may be advisable. Motherhood can be a wonderful, beautiful period of time while we’re bringing new life into the world. But sometimes it can be stressful, confusing, uncomfortable and challenging too. Let us ease you through it in a supportive, caring way. After the first or second month of a normal pregnancy all the way through to birth, a nurturing, gentle, massage from a therapist well-versed in pre-natal massage is advantageous for mother and child. Check with your doctor first, if you have any concerns. A soothing, calming, flowing massage will iron out achy muscles, help relieve nerve compression, joint pressure and tension for the mother as her body continues to change. Your baby will also receive the circulation improvements and calming effects as well, so both of you can relax more deeply and enjoy this amazing experience together. *Body positioning changes and bolstering with extra pillows will be necessary at the baby grows inside the mother’s womb. Any of these Add-Ons, individually or mixed with other modalities below, can become a 60-120 minute session on their own if you choose. If you are unsure about what to add on, or what type of massage you want, our therapists will talk through the options with you when you come in and create a personalized session you will love! Would you like Light, Medium or Deep pressure for your custom blended massage? Each person interprets massage pressure differently, one person’s Light could be another person’s Medium to Deep. If you’re not sure, don’t worry, we will figure it out with you once you are on the massage table, determine what pressure feels most comfortable to you and keep that pressure level consistent throughout your massage session. By very gently releasing tension and compression in the cranial bones of the head and face, along the vertebrae and sacrum bone at the end of the spinal column, flow happens. It’s like a computer re-boot for the central nervous system and increases, balances, the flow of cerebrospinal fluid that runs between the occiput and sacrum bones at each end of the spine. This very special modality is great for migraines sufferers, car accidents and trauma victims, eye and ear challenges, allergies, anxiety, PTSD and overall stress relief. Every gland, internal organ, muscle group, joint and skeletal section of the body has a highway of nerves that run through the body and the end point is located in the soles of the feet. (hands too, actually) By accessing very specific acupressure points on the foot we can create change and balance in the corresponding parts of the body. It’s pretty mind blowing, indeed! If that part of the system is overactive or underactive, reflexology will help balance it using our body’s own self intelligence and healing response. The pampering, tranquil feeling it provides you is the icing on the cake. This gentle and amazingly powerful energetic healing modality came out of Japan originally until it was eventually shared around the world. Energy exists all around us in every living thing. Every cell in our body, every molecule that exists in even the desk you’re seated at, or the seat you’re sitting in has it’s own unique vibration. Reiki channels the energy that is all around us, through the therapist’s hands and then moves throughout your body. This energy is self-intelligent and goes directly where it’s needed most in your body. The therapist’s hands will still be touching the body but not necessarily be manipulating muscle tissue, so you can remain clothed if you so choose. Reiki provides a path for the body to release stress, trauma, imbalance, pain, and more, on every level; physical, emotional and mental. From babies still in utero, to the elderly, to athletes, soldiers coming back from war, to everyday folks, Reiki is extremely beneficial, transformative, relaxing and healing. The mind-body-spirit connection is well documented and undeniable. By walking you through an extremely customized guided visualization and/or meditation created specifically for your unique wants and needs, change IS possible. Whether you are wanting to help heal a physical ailment, work through a traumatic experience of any kind, shift into a healthier life/lifestyle, makes changes to your belief systems, or internal dialogue with yourself, or sink into a very deep state of relaxation, we partner with you to help bring that into existence. What we can create, see, and feel inside our mind helps our body move in the direction of the new normal by resetting our internal ‘compass’ towards this new map we made inside our minds. What journey can we take you on today? Wonderful massage. Best ever, I think. My masseuse listened to my needs, was having pain, provided exactly what I needed. Now on the road to recovery. Definitely will return and make referrals. Office very simple and comforting. Immediately felt at home and taken care of. Save 34% Off Massage at Healing House! Should I do anything to prepare for the massage? Aside from bathing in patchouli, walking in grass while in bare feet, wearing a tie dye shirt and bead, just show up on time! Ok, Ok, you don’t have to do any of those things, unless you want to. But we do strongly advise that 4-8 hours before your massage that you increase your water intake. That way you hydration levels are good in your body before-hand, and when your toxins start to flush into your system that the extra water you drank will help move them through more easily. Then make sure you continue to increase your water intake for 12-24 hours after your massage to assist your body doing it’s self-cleaning work. Does massage have to hurt to be effective? No! On a scale of 1-10 , 10 being the most intense, it is best that we work at a level 7-8 for YOU. Not our scale, not your mom’s scale, not Superman’s scale, YOUR scale! If you are flinching, gritting your teeth, or clenching your muscles the pressure is too deep, potentially damaging and simply not enjoyable. But it is up to you to communicate with your therapist so we can determine together what level is appropriate for you for your comfort and health. I haven’t had a massage before, what should I expect? Our massage therapist will spend time with you before your session starts asking you questions about your body, reviewing any past or present injuries, asking about your preferences for pressure and partner with you in deciding how to create your customized session to address your unique needs. The therapist will step out while you undress and lie on the table underneath the sheets. Respecting your privacy is important to us. Your body will be draped with the sheet for warmth and modesty. Only the section of the body being worked on at that time will be undraped. Your ‘job’ during the massage is to breathe deeply, soften your thoughts, let your body unwind and try not to engage any muscles to help as we lift your arm or leg to move the sheets around you, communicate if you need more or less pressure or have a question, and allow yourself to just melt into the table. When the massage is finished, your therapist will let you know and leave the room so you can redress. Please remember that drinking lots water 12-24 hours after your session will help your body flush the toxins out of your body that massage stirred up. This will help you feel more comfortable and less achy afterwards. How will I feel after a massage or bodywork session? When you first start to move from the massage table to standing you may feel slightly light-headed or dizzy. We call it “The Massage Hangover”, but with better overall effects. Keep in mind that during that session your blood pressure probably lowered, your circulation increased, your toxins were flushed to the surface and your nervous system settled back down. Your muscles will feel smoother and longer. You might even feel Taller. As mentioned in the FAQ about water, you may have a slight headache, scratchy throat, stuffy nose or light nausea. This is a normal reaction to your own body’s toxins. Drinks LOTS of water over the next 12-24 hours to help your body come back into balance and move any muscle achiness through your body faster. Your skin, muscles, bones, organs and glands will need that extra water to continue flushing from the inside as well. Depending on the depth and pressure you chose for your session you may feel some achiness in the areas that you naturally tend to hold more stress and tension in as they release for one to two days. Again, the more water you drink, the faster that achy feeling lightens. What Happens After Your Massage New Patient Special? After your special, receive a one-hour massage, follow-up acupuncture, custom facial, follow-up nutrition, cupping & gua sha or moxibustion for only $49.50 per session! Our Wellness Membership Program gives you a huge menu of holistic services at a discounted price.